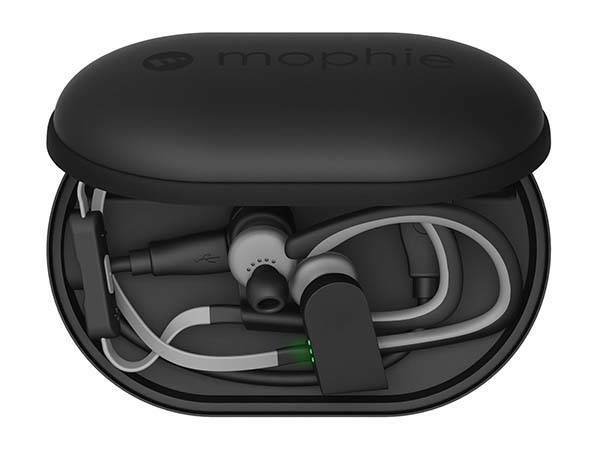 Mophie has released power capsule, its first portable charging case for wireless headphones, Apple Watch and fitness trackers. Using built-in power bank, the case provides mobile energy for these mobile devices. The power capsule is a versatile and practical charging case that measures 4.98 x 3.31 x 1.77 inches and weighs 4.23 oz. As we can see from the images, the travel case shows off a compact, low-profile and sleek appearance, so it can be easily stored in your bag for easy carrying, and its durable outer shell with soft-touch, rubberized finish protects your mobile device from drops and falls while its soft, fabric interior keeps it free from scratches and scuffs. As a portable charging case, power capsule comes equipped with a built-in 1400mAh power bank in order to charge your mobile device on the move, and it works with many mainstream wearables including Apple Watch, Fitbit Flex, iFrogz in-ear headphones, Beats powerbeats 2, Jaybird, Monster iSport, Flexion and JBL in-ear wireless headphones. In addition, the LED indicator on its surface displays the charging status and current battery life of your power capsule. 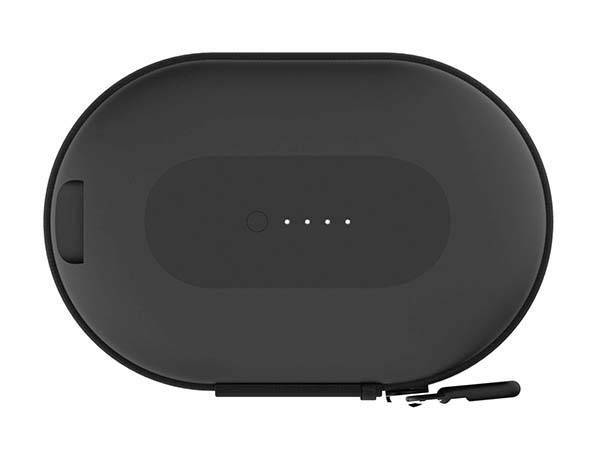 The power capsule portable charging case is priced at $39.95 USD. 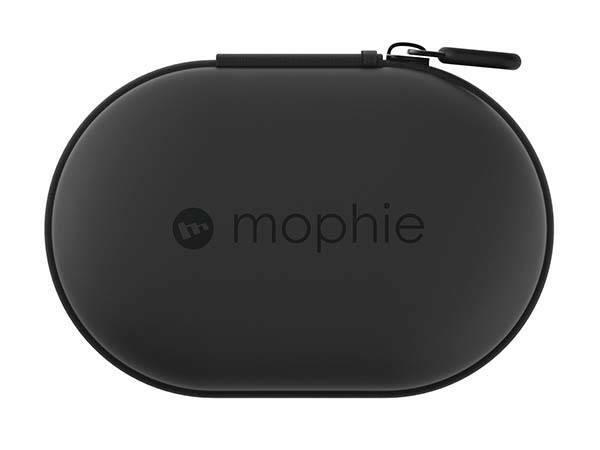 If you’re interested, jump to mophie Amazon Shop for its more details.